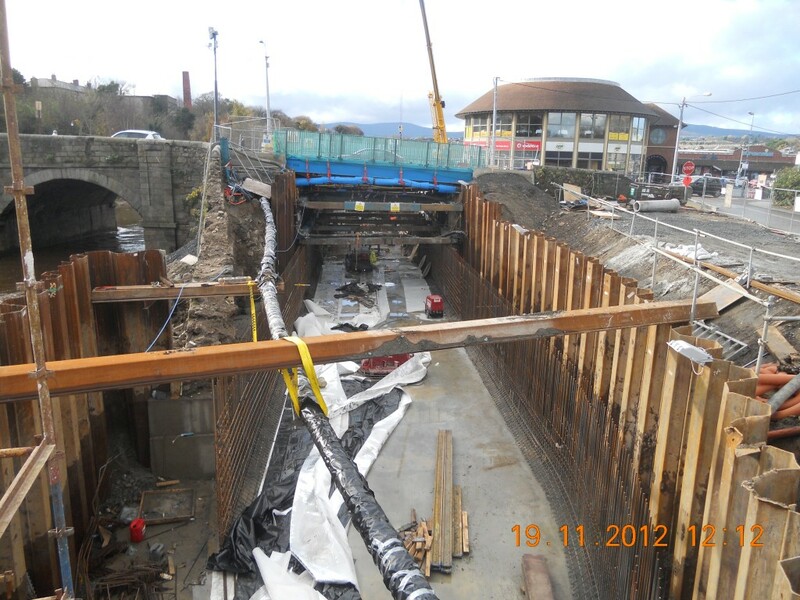 The River Dargle Flood Defence works is approaching a key milestone with the Bypass Culvert, which is an integral element of the flood defence scheme, approaching completion. The first of three stages of concrete pours to the roof slab of the culvert commenced on 25th January 2013. This will ensure the completion of the culvert in the coming weeks. 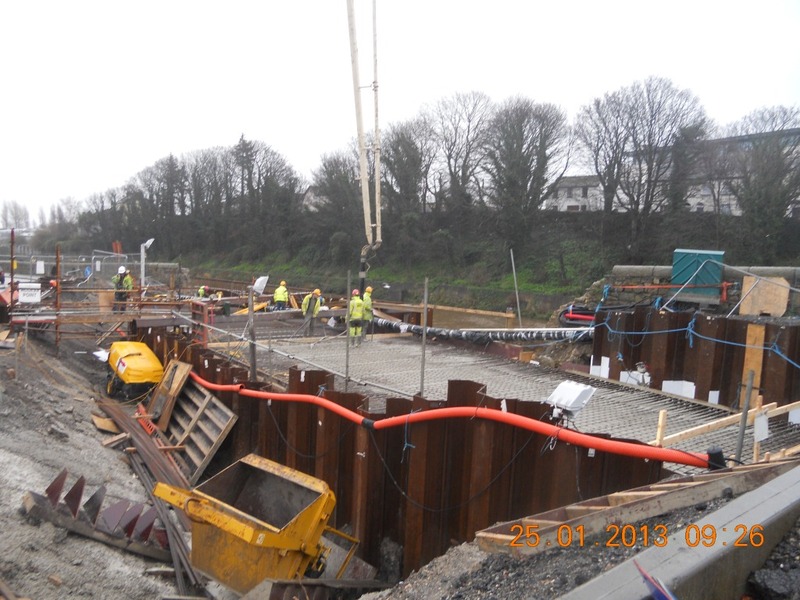 The bypass culvert which will act as a fourth arch to the only vehicular bridge through Bray town has been constructed beneath the main artery through the town while maintaining live traffic at all times. 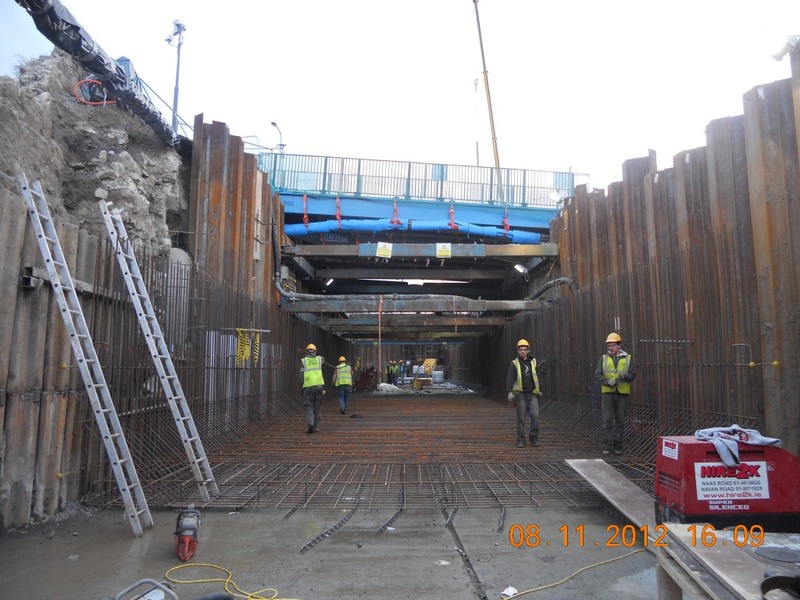 The realization of this element of the project will bring to a close the complex construction of the 7.4m wide x 4.8m deep culvert which included over 170m of sheet piling and 1500cu.m of concrete while incurring minimal disruption to the people of Bray.